If you're planning a trip to St. Louis, you won't run out of sights to see! 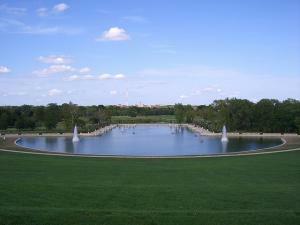 There are plenty of wonderful attractions to enjoy in the second largest city in Missouri. Bob Diener, founder of Getaroom.com, includes Gateway Arch on his list of must-see St. Louis attractions, describing it as "an architectural wonder 630 feet in the air" that "symbolizes the western expansion of the US." 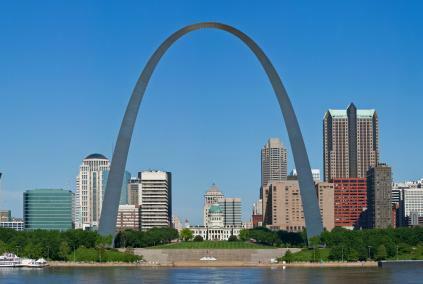 The Gateway Arch stands as "the nation's tallest monument." Visitors can ride a tram to the top of the arch, where Diener states that they'll be able to "see 30 miles in every direction." You can also take a ride on one of the Gateway Arch Riverboats to get a different perspective on the arch and the city. Gateway Arch is also home to the Museum of Westward Expansion, a museum store and educational movies about the arch's construction and Lewis and Clark's exploration of the west. The Saint Louis Zoo is definitely a not-to-be missed attraction that Diener describes as "a huge world-class zoo" that just happens to be one of the "few zoos that is free to visit." He is not the only one who thinks highly of this attraction. In the 2014 TripAdvisor Traveler's Choice Awards, the Saint Louis Zoo was named the third best zoo in the United States and the fourth best zoo in the world. It also holds the number two spot on the USA Today Reader's Choice Awards list of the ten best zoos in America. 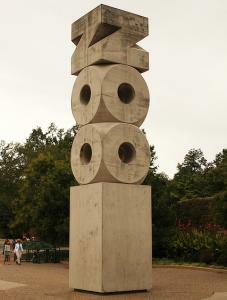 The Saint Louis Zoo opened in 1910 and, as of 2014, attracts three million visitors every year. The zoo takes up 90 acres in Forest Park and is home to nearly 20,000 animals representing 300 species. When you visit the St. Louis Zoo, you'll be in Forest Park, but only a small part of it. Diener recommends setting aside time to visit Forest Park when you travel to St. Louis, pointing out that it was where the 1904 World's Fair took place and home to numerous present-day attractions that will help you make the most of your visit to the city. As one of the largest urban parks in the U.S., Forest Park covers more than 1,290 acres and is actually "450 acres larger than New York City's Central Park." The park has an extensive path for bicyclists and walkers. 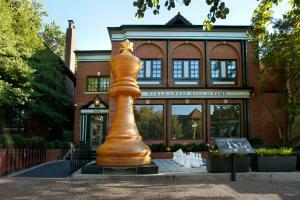 St. Louis is home to the World Chess Hall of Fame (WCHOF), where the world's largest chess piece is prominently displayed in front of the building. The almost 16,000 square foot facility is filled with history and art related to the game of chess. Examples include memorabilia from chess legend Bobby Fischer, a Tiffany chess set and more, along with rotating exhibits. Shannon Bailey, Chief Curator at the WCHOF, states, "Visitors come to the World Chess Hall of Fame not knowing what to expect and leave with their minds expanded. We have some of the Midwest's most interesting art exhibitions, interactive learning experiences, history shows, and shopping - all highlighting how the ancient game of chess inspires creative thought." 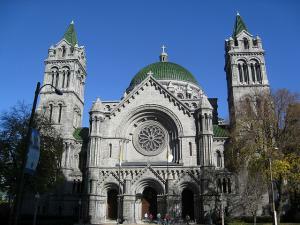 Cathedral Basilica of Saint Louis is a wonderful landmark to add to your itinerary, according to Diener. He states, "Cathedral Basilica is a magnificent cathedral that has one of largest mosaic collections in this part of the world." The main structure was built in 1914, and has been expanded and renovated over the years. Formerly known as the Cathedral of Saint Louis, in 1997 Pope John Paul II designated it as a Basilica, which is "a place of worship of special distinction." You can take a guided tour of Cathedral Basilica on weekdays, or complete a self-guided tour at any time that mass celebrations, weddings or other special events are not in progress. 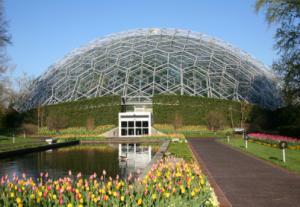 Diener also recommends including Missouri Botanical Garden in your itinerary. He describes this attraction as "79 acres of world-class gardens dating back to 1819." Missouri Botanical Garden includes numerous display areas for visitors to enjoy, including a 14-acre Japanese strolling garden, a resource center dedicated to home gardening and a tropical rainforest housed inside the "Climatron conservatory." Other popular areas include the Chinese Garden, English Woodland Garden, Ottoman Garden and Victorian District. You can also tour Tower Grove House, the country residence of Henry Shaw, who founded the garden. 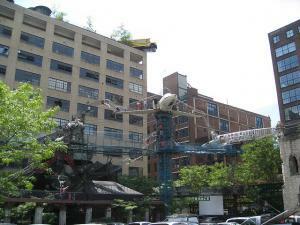 Even if you go to the museum at Gateway Arch and all of the museums in Forest Park, if you are traveling with children, you really need to make time to visit City Museum. City Museum is included in the PlanetWare.com list of the top-rated attractions in St. Louis, where it is called "a delightfully entertaining facility targeted towards children." The museum's website describes it as "an eclectic mixture of children's playground, funhouse, surrealistic pavilion, and architectural marvel made out of unique, found objects." This unique museum is located in a 600,000 square foot building that used to be a shoe factory. With features ranging from "Enchanted Caves" on the lowest level to a rooftop cafe on the top (and tons of wonderful surprises in-between), this attraction should not be missed. While these attractions represent highlights of what St. Louis has to offer, they certainly aren't the only options. For more ideas, visit ExploreStLouis.com, the official website of the city's Convention & Visitors Commission.